The Tokyo Sky Tree , the tallest tower in the world turned one year old today. The Sky Tree opened to visitors on 2012 May 22nd…one year ago today. I went up to the observation deck in the Tokyo Sky Tree on a clear day last January. I wrote a post about it with some photos that I took of the view. Today is the first anniversary of the Tokyo Sky Tree‘s grand opening…but two days ago (Monday, 2013 May 2oth), another milestone was reached for the tower: Tokyo Sky Tree welcomed the 6.34 millionth visitor. 6.34 million visitors is a key number for the Sky Tree because the tower stands 634 meters tall. Officially the world’s tallest tower. The height of 634 meters wasn’t chosen arbitrarily. In Japanese 6-3-4 can be pronounced 「ムサシ」 (mu-sa-shi)…and the Tokyo Sky Tree stands near an area that is referred to as 「武蔵の国」 (Musashi Region). What do you think about giant skyscrapers and towers? What is the tallest one you’ve visited? Are there any near where you live? Every December (for the past seventeen years or so), a 漢字 (Japanese (Chinese) written character) is chosen which has a meaning that best summarizes the passing year. Last year the character 「絆」 (bonding) was chosen because of the way the world came together to help Japan after the March 11th earthquake. Well, this year, for the first time since this tradition began, the 「今年の漢字」 (“Kanji of the Year“) will be a repeat. In the year 2000, the 「今年の漢字」 (“Kanji of the Year“) was 「金」 (“gold”) because Japan won gold medals at that year’s Olympics and also because “Kin-san” of the famous elderly Japanese twins “Kin-san and Gin-san died that year—and her name meant “gold”. This year too, 「金」 (“gold”) was chosen again to be the 「今年の漢字」 (“Kanji of the Year“). And once again the reason for this choice was because of the gold medals that Japan won at the Olympics. Other reasons cited were the opening of the Tokyo Sky Tree, the Nobel Prize won by a Japanese professor, and the solar eclipse last spring. The character 「金」 for “gold”. Writing the Kanji of the Year for 2012 in the official ceremony. 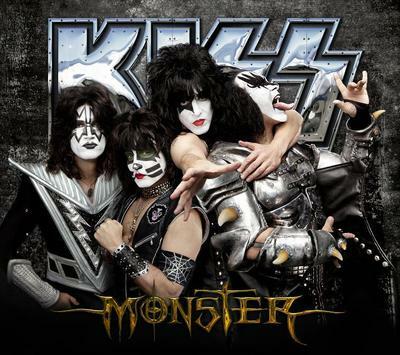 Next Wednesday (2012 October 12th), the new KISS album “Monster” will be released in Japan. The Japanese version of the album will include a bonus track (as many Japanese pressings of albums do), which will be the live version of ‘King Of The Nighttime World‘. 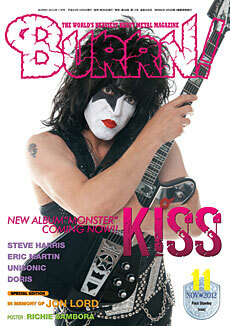 And the November 2012 issue of the Japanese heavy metal magazine called “Burrn!” went on sale today and Paul Stanley of KISS is on the cover. 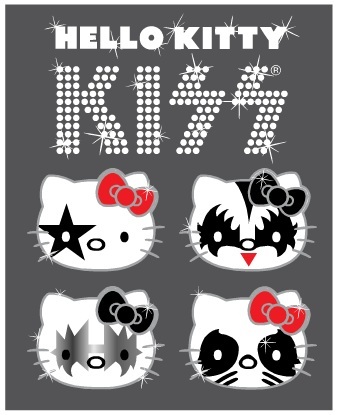 Also…the iconic Japanese character Hello Kitty teamed up with KISS and a huge variety of products showing Hello Kitty‘s face painted in KISS make-up is now available in Japan. The iconic 東京駅 (Tokyo Station) near the 皇居 (Japanese Imperial Palace) was built in 1914 but it was destroyed in the World War II Allied bombings of Tokyo in the 1940’s. After the war, it was rebuilt similarly, but not exactly the same, as it originally was. One main difference was the fancy glass domes on top of the original station building were replaced with a simpler design. This is how Tokyo Station looked when I came to Japan. 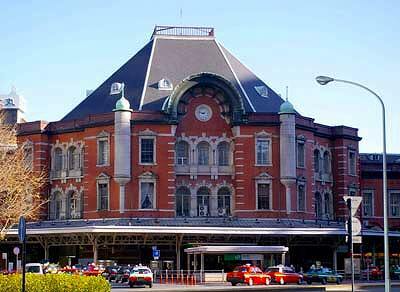 Tokyo Station will be 100 years old in 2014. So, the government decided, a few years ago, to redesign the station back to how it looked when it was originally built. The renovations were completed on schedule and the renovated (retro) Tokyo Station had it’s grand re-opening yesterday (2012 October 1st (which was 都民の日 (Tokyo Residents Day)). 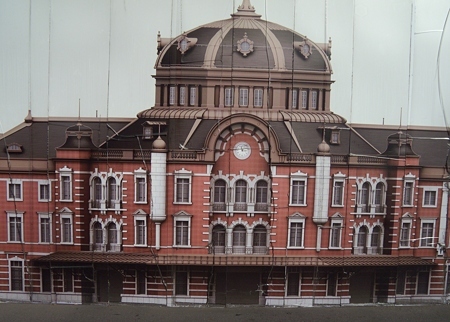 This is how Tokyo Station looks now…like it looked 100 years ago. Just like all grand openings, the stores and restaurants in the station had specials and sales for the occasions…so of course, the station was crowded yesterday with people who wanted to take advantage of the specials and also wanted to see the newly designed station. The 2012 Summer Paralympics Games commenced three days ago. It’s unfortunate that the Paralympics or Special Oympics don’t get as much recognition or fanfare as the “regular” Olympics…because I think the athletes of the Paralympics and Special Olympics are amazing. In fact, I wrote a post about them a couple of years ago…with special focus on one Japanese Paralympic athlete from the 2010 Winter Paralympics who overcame tragedy in his life twice. Anyways, have you seen the promotional ad for the 2012 Summer Paralympics that are currently underway in London? 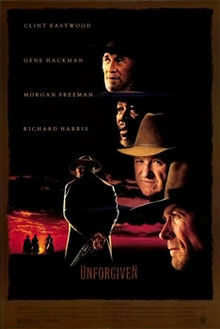 Do you know the 1992 movie “The Unforgiven ” with Clint Eastwood, Morgan Freedman and Gene Hackman? It’s about a man who was a ruthless killer in the American “old west” (played by Clint Eastwood) who, after having a wife and kids, changes his ways and becomes a farmer. But his wife dies of smallpox and he finds himself financially struggling to provide for his children..so he takes “one last job” as a hired killer / bounty hunter. One of my favorite scenes from the movie is when Clint’s character sees his friend’s murdered body displayed in front of a bar as a “message” to all potential bounty hunters…he walks into the bar and shoots the bar’s owner. Well, I just learned that a Japanese remake of “The Unforgiven ” is being filmed. It is due to hit theaters in Japan in the autumn of next year (2013) and will be titled 「許されざる者」 which means “The Unforgiven” in Japanese. It will star the internationally famous Japanese actor 渡辺謙 (Ken Watanabe) who worked with Clint Eastwood when he starred in the movie “Letters From Iwo-jima “.